What salt system do you suggest for a 60,000-gallon residential pool? Manufacturers do make residential pool salt systems designed up to 60,000 gallons. 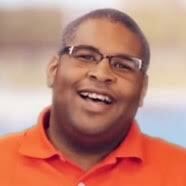 But if you have a 60,000-gallon pool, I wouldn’t recommend one of those because it’s already at full-capacity brand new. It’s going to struggle to keep up with the chlorine demand in the warmer months. Actually, I would recommend going with a two 40,000 gallon units because that will bring you up to 80,000. He wanted to know if he should install the salt cells one after the other or parallel to each other. The best method for installation would be to mount the cells parallel to one another. 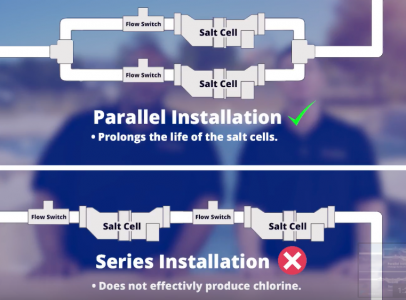 Installing them one after another will prevent the second cell from effectively producing chlorine, this is due to gas bubbles formed in the first cell to disrupt the chlorine production in the second one. Another benefit parallel plumbing is that it reduces the water flow through each cell and this will prolong the life of the salt cells. If you have any questions about salt systems or anything else, please leave a question down below in the comments. For all of your pool and small needs, please visit us over at INYOPools.com. Epoxy paint can be used on salt pool surfaces. I’m Ron’s Pool Service, Inc. in the biz for 20+ years and have painted a few pools here in South Florida. Looks good for 1 to 3 years, then it will dissolve and come off. Better investment to resurface the pool, lasts 10 times longer.